Take action today to tackle this unjust disparity that disproportionately affects mothers and women of color. 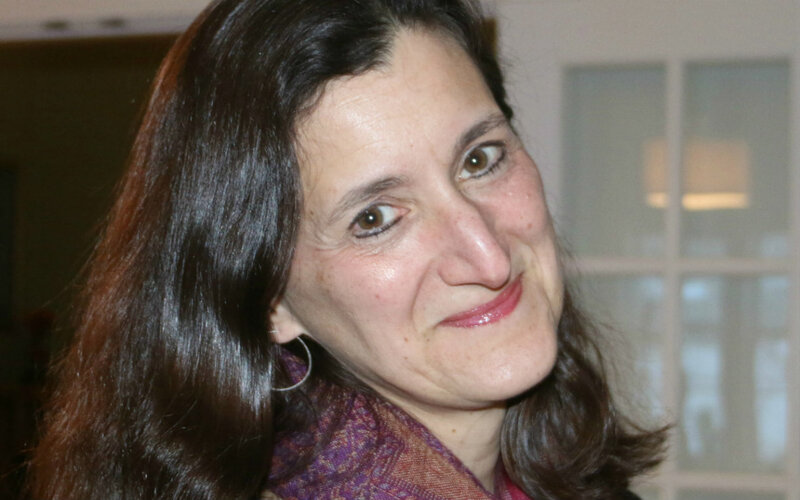 Every year on Equal Pay Day, the statistics—largely unshifted—pop up again. Women make less money than men (roughly 80 cents to the dollar). Women of color make even less (e.g., Latina women make 53 cents to the dollar). This disparity cuts across education level, occupation, age, and hours worked. As to why this is the case—there’s no one reason, and there’s no good reason. Many experts agree on one aspect that may be more important than others: occupational gender segregation. Jobs that involve tasks historically considered “women’s work” are valued less than jobs involving “men’s work.” According to a 2016 Oxfam report with the Institute for Women’s Policy Research, the median wage of a child care worker is $9.77 an hour, while the median wage of a service station attendant is $11.62. In sum, women are undervalued and underpaid. So how do we start to narrow the gap? Here are 10 steps to restore some justice to the world of work as we fight to root out, expose, and change norms around gender, family responsibilities, and work. Increasing the minimum wage from $7.25 an hour would deliver an immediate boost to millions of women workers. Roughly two-thirds of minimum wage workers are women, and of workers earning less than $15 an hour, 58 percent—23 million—are women. In states where the minimum wage has been raised, the gender gap has narrowed. In fact, raising the minimum wage would more significantly benefit women of color. Overall, nearly 40 percent of black and Latina women earn under $15 an hour. Raise (or eliminate) the tipped minimum wage. Women also make up two-thirds of tipped workers and 70 percent of food servers and bartenders. The tipped wage, stuck at $2.13 an hour since 1991, means that tipped workers have higher poverty rates than non-tipped workers; about 46 percent rely on government assistance to make ends meet. Providing consistent pay checks would raise wages and reduce harassment. When workers are prohibited from discussing salaries, it often masks pay discrepancies between men and women doing similar jobs. The Paycheck Fairness Act would reduce pay secrecy, give women better tools to address pay discrimination, and make it more difficult for companies to pay male workers more than female workers. The House of Representatives just passed this bill, which awaits consideration in the Senate. Several states already have laws that prohibit employers from enforcing pay secrecy; more states should take this kind of action. Pass wage equality legislation on state and federal levels. Two states still have not passed an Equal Pay Act: Mississippi and Alabama. 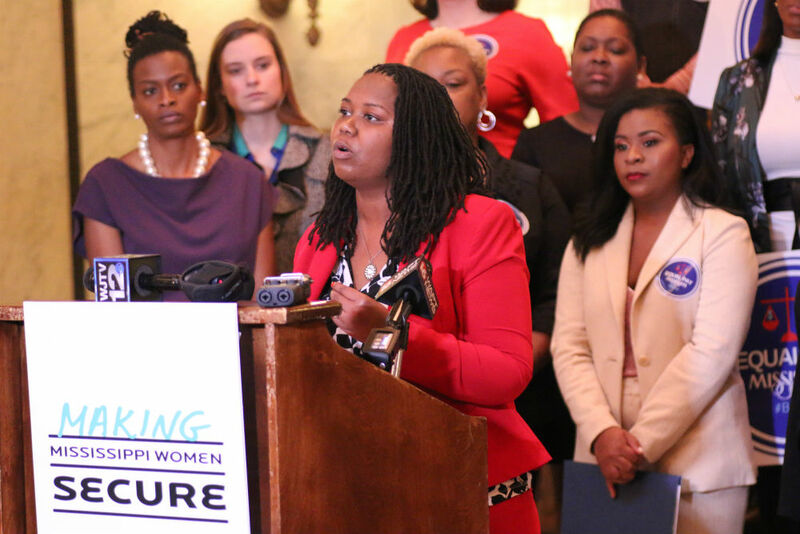 In February, we participated in a press conference at the Mississippi Statehouse where speakers explored why it’s so vital to guarantee pay equity. (For more on state labor policies, see our map and report.) On the federal level, while the Equal Pay Act passed in 1963, there’s need for more action: an Equal Rights Amendment would ensure that women are treated equally, including in the workforce. Women are often paid less in new jobs because they were paid less in previous jobs. When job applicants are not required to divulge salary figures, the employer makes an offer based on the market rather than history (and gender bias). In one survey, 80 percent of hiring managers and recruiters said they rely on salary history in making an offer. Several states and localities have passed laws that ban employers from asking potential hires about past earnings. “Women’s work” jobs are more likely to have unpredictable schedules that involve long hours and change with little notice. This makes it difficult for working parents to arrange for child care, which may lead to fewer hours or job loss. Vermont and the city of San Francisco passed legislation that provides a “right to request,” allowing workers to ask for greater flexibility or scheduling predictability without jeopardizing their job. Invest in affordable, high-quality child care and early childhood education. Among children under age six, 65 percent either live with only a single parent who works or two parents who both work. Affordable, high-quality childcare supports both working parents and children, increasing women’s ability to keep a job and excel in the workforce. Almost 40 million workers (40 percent of the private-sector workforce) do not have access to any paid sick days. And it’s worse for part-time workers: 73 percent have no sick days. These workers are compelled to miss pay, or to go to work sick, send their sick children to school, or leave their sick children at home alone. Since the burden usually falls on women to care for sick family members, paid sick days would disproportionately help bolster their pay and their career paths. Pass a national paid family and medical leave insurance program. Roughly 10 percent of the gender wage gap is due to women spending less time in the labor force than men—often stemming from disproportionate family care responsibilities. Access to paid leave has been proven to shorten time away from work and facilitate re-entry into the workforce—making it more likely that women will return to work, with the same or higher wages. Moreover, when gender-neutral paid family leave is offered, men are more likely to take it, which reduces stigma and caregiving penalties for workers. Mandate paid maternity and paternity leave. Take action today on Equal Pay Day! Sign this petition to support the Raise the Wage Act of 2019, which would raise the minimum wage and eliminate the tipped minimum wage!